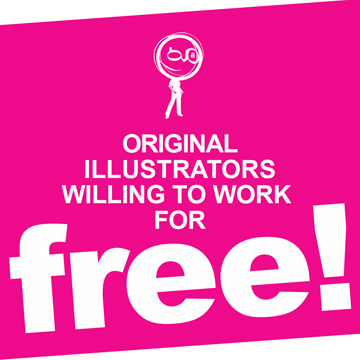 For the fourth year in a row, the Illustrators of AGM want to help out any way they can and are offering to work for FREE. The exclusive offer is available to non-profit organizations and charities that wouldn’t normally have the budget to commission original illustrations from the Montreal-based agency. AGM Founder Anna Goodson said: “We’ve been very fortunate and wanted to give something back to the industry. There are so many organizations out there that don’t have the budgets to spend on original illustrations. That’s why we wanted to help and offer our services for FREE”. Founded in 1996, AGM is a boutique-style International agency that serves the global marketing needs of the visual arts community. Today, AGM’s illustrators work alongside some of the world’s leading advertising agencies, design firms, magazines, publishers and newspapers. Anna continued: “Our exclusive offer is only available to non-profit organizations and charities, from February 1st until February 28th, 2013. If you’d like to find out more, please send us an email or just give us a call”.